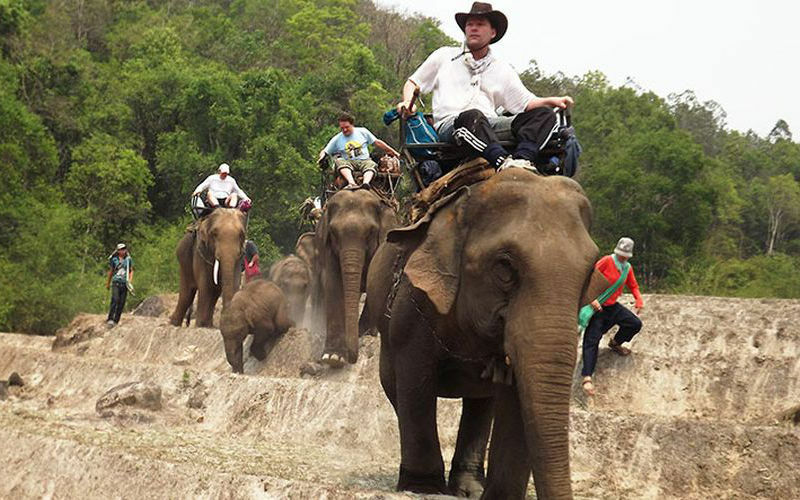 The elephant trek offers the world widely unique possibility to be with elephants for more than a whole week. You will ride your own elephant up to 8 hours a day. On the way to our destination you will spend the nights in provided tents in the forests of Northern Thailand. While riding, you will enjoy the picturesque scenery: High mountains and wonderful rivers, isolated villages and the calming sounds of nature. This tour is really one of a kind and especially suitable for adventurous people. You will be picked up in Chiang Mai at the airport or at your hotel. We will drive about 1 hour to the village of Mae Sapok. In the Lodge „White House“Once arrived at your first night’s accommodation, you will meet the other guests at our Lodge “White House” during the day. In the evening our trek leader and elephant trainer will thoroughly inform you about the journey. After that we will have a nice evening dinner. The first night you will spend in your nearby accommodation facilities. 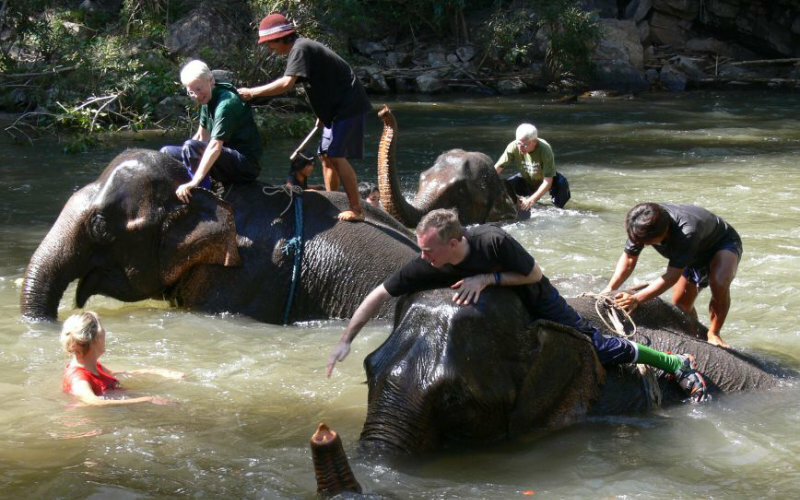 Today we will meet the mahouts (elephant trainers) and our elephants. 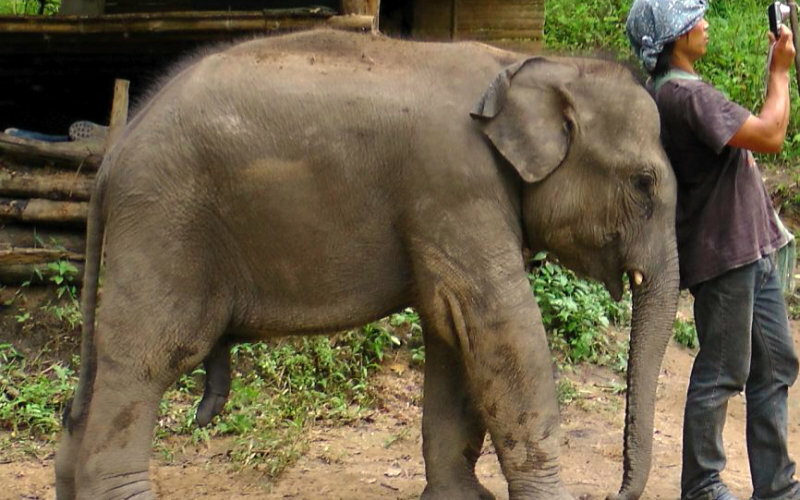 After that weYou will learn first basic knowledge of elephant riding and first commands. After lunch we will bathe our elephants and learn how to saddle and load the elephants. Now you will independently ride your elephant for the first time. Over a time of six days we cross the beautiful landscape with breathtaking views of the surrounding mountains and valleys of the Doi Inthanon National Park. Highlight of this trip will be the riding and the handling of the cozy pachyderms. During the first day we will learn the commands for riding our elephant and we will discover that climbing a mountain is amazingly easier for an elephant than it is for us. 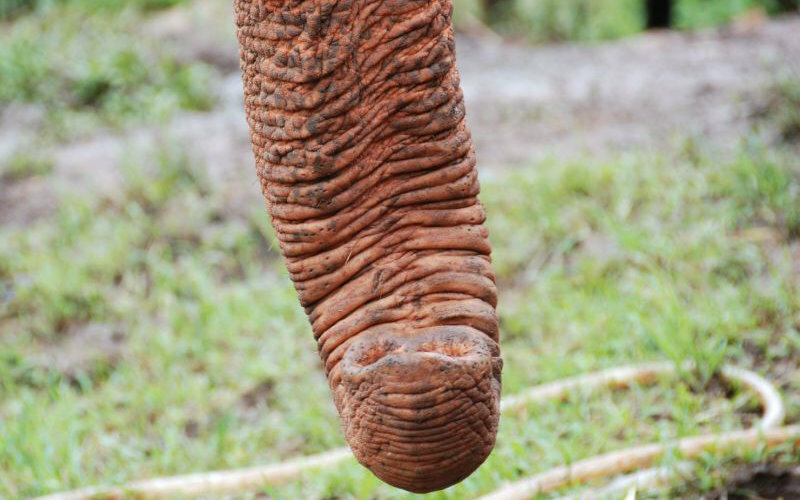 Despite his stiff gait the elephant moves cross-country easily. We will be heading westwards along the mountain path. From time to time we will meet the Karen (hill tribe people) who live in these remote areas. As soon as the sun starts going down we will unload the elephants and look for a nighttime feeding and sleeping place for them. The next morning we will gather the elephants from the forest. In the following days we will be crossing creeks and rivers, riding over lightly forested mountains and through open fields, deserted. As we make our way through this spectacular landscape, we feel like Hannibal crossing the Alps. During our journey we will learn from local nature experts who will enrich our meals with wild herbs, vegetables, mushrooms and fish. Every day ends with the setting up of our tents in a different camp where our guides create tasty dishes on the campfire. For six days, we will travel through a beautiful landscape with breathtaking views of the surrounding mountains and valleys of the Doi Inthanon National Park. 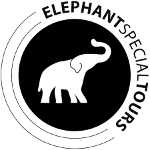 The In any case, the highlight of the trip will be riding and interacting with our sociable pachyderms. During the afternoon of the 8th day we arrive at our destination. 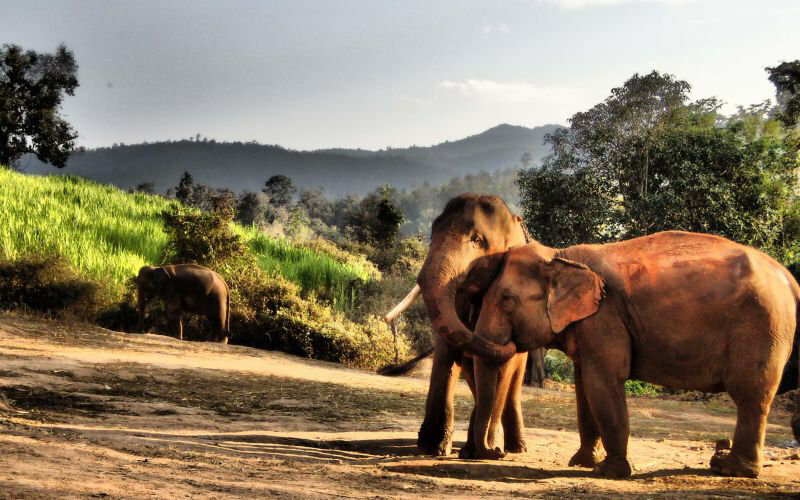 After this wonderful journey it’s now time to say good bye to our elephants and the mahouts. Today we can share our experiences of the journey. We will laugh about so many common things we shared and the uniqueness of our elephants. We will sit together, united in our appreciation for the opportunity to have experienced a world unlike any other. We will take you back in time to the airport or to your hotel in Chiang Mai.